As a black filmmaker it's hard to avoid this question. In fact, it's been a question that has followed me since film school. I was even asked recently by a coworker to add this as a topic for discussion on this forum. Admittedly, for me being a black filmmaker, my first thought was to avoid this topic all together as it sometimes makes me uncomfortable. Conversely, I've never been one to shy away from the uneasy. After much research, I've found the answer to be convoluted, daunting, and at times divisive. I even struggled with how to appropriately and objectively present it here. But, here's my attempt. IndieWIRE's Shadow And Act's Tambay Obenson featured an article on director Tim Story's understated success. Interestingly, the replies to the article launched a firestorm of heated debate. Even actor Malik Yoba chimed in offering some pearls of wisdom. An actor responding in the reply section of an article? Maybe this topic warrants further inspection, at the very least this conversation should be more mainstream and not just confined to black media. Think about it, if Kathryn Bigelow's films can open the public's eyes to the viability of female directors than surely we (the public) can benefit from increased participation from blacks in Hollywood. Black filmmakers have great stories to tell and black actors can, if given the opportunity, generate huge box-office revenues. I'm not just talking about the typical how to get or scheme on a man ("Think Like a Man, Act Like a Woman" or "Two Can Play That Game"), covertly degrading comedy acts ("Medea's ________ "add title), or the occasional musical ("Dreamgirls"). No, blacks have the capacity to offer more than that. Clearly, there are some very talented actors like Denzel Washington, Samuel Jackson, Jamie Foxx, Angela Bassett, Halle Berry, Nelsen Ellis, Rutina Wesley and many unknowns struggling to be seen. I think films like The Matrix, The Avengers, Precious, The Color Purple, The Italian Job, and others have demonstrated that blacks can act, produce, and direct. 1. The general public should demand more diverse content and films by refusing to just settle for what's given. The result could be more memorable and loved films. Not to mention, we would broaden the scope of the entertainment we consume. I know that there has been a demand for more original content. We simply crave it. 2. Within the black community we need to work together and create more opportunities. I personally detest seeing the public feud between Tyler Perry and Spike Lee (It's not a good look), however I do understand the nature of the debate. Also I may be courting a backlash for saying this (but someone should), there are enough successful black entertainers out there to invest in the black entertainment community. Don't icons like Bill Cosby, Oprah Winfrey, Jay-Z, Beyonce, and countless others who have "made-it" in the entertainment industry have a responsibility to invest in the black arts and entertainment or at the very least provide a platform for its advancement? After all who exactly was their base in helping them reach their success? 3. Hollywood producers and investors should loose the notion that blacks don't draw box-office numbers. It's Hollywood after all. These are the magicians that can sell almost anything. If they expect the public to suspend disbelief to sell some of the most unbelievable stories; than they can exercise that same suspension of disbelief to elevate members of their own community. In closing, I want to leave you with this. We can only effect a change if we agree that one is needed. Film and all that it encompasses is a reflection of our society. Art imitates life and to some degree visa-versa. 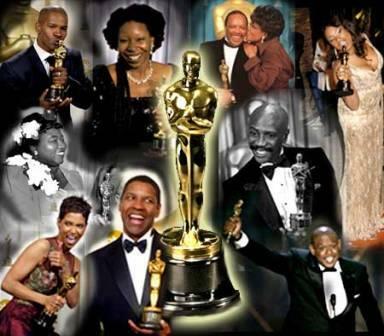 Blacks, women, and other minority groups' advancement in Hollywood says a lot about the society we live in. We can make the future a better place and improve our lives right now. 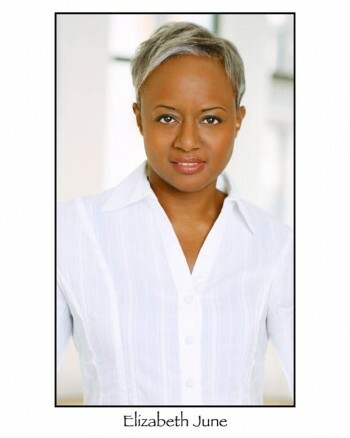 In the last two years I have written and or co-produced two short films that have been featured in several film festivals and I have co-starred on a network prime time drama. What I have found to be true, more than ever, is that the reason more Black people aren't successful in Film and TV is lack of funds and support. 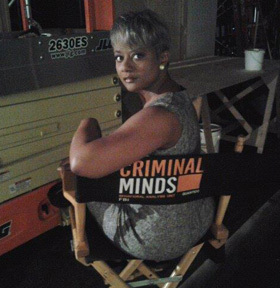 The minute I started going to the casting director workshops (that are not cheap) that is when I started getting auditions. It takes money to get new headshots, money to meet casting directors and agents at workshops (they have neither the time nor the inclination to open the thousands of headshot envelopes they receive each day), and you have to pay for acting classes (even with an MFA, I still have to stay sharp and take classes) and gym memberships to be camera ready at all times. As a filmmaker, we had to feed and provide gas for my cast and crew for the short films. We had to submit to film festivals on Withoutabox which is $40-$60 a pop. We had to buy DVD's and jewel cases and padded mailing envelopes to send out screener copies and create and make copies of press kits, etc. It takes MONEY to make money and we have to invest in our craft. Thirdly, many Black people don't support Black indie films. They like films that look polished and sound perfect and if it doesn't, they will dis it. Lack of support of those rough, raw films and the blood, sweat and tears it took the struggling Black filmmaker to get that imperfect film on the screen, means we will never hear from that filmmaker again. BTW, Where is Matty Rich? We only seem to support Black films if our favorite stars are in them or it was produced by a White director/producer who has a multi-million dollar budget. Tyler Perry made his money off church folk who supported his church plays because the most supported organizations you will find, in any Black neighborhood, are the church and the liquor store. Which are usually in close proximity. ELIZABETH JUNE WEIGHS IN ON THIS TOPIC. VERY INSIGHTFUL! This is a very insightful response! To reiterate my earlier statement and agree with Elizabeth June; these films are as a practice marketed to a fan base to maximize their potential. Though I think that it is to the benefit of everyone to support black films, filmmakers, and actors; I feel that to effect a positive change blacks have a vested interest in supporting images that depict us. Thank you to Elizabeth June for weighing in on this topic. I had the pleasure of working with "June" on a film I directed in film school "Into the Night." Needless to say her professionalism and tremendous talent blew us away. Her being in the film was a lesson with itself . This topic is open to everyone to weigh in on as it affects all of us. We'd love to read your thoughts on it! Where are the black super heros? Can Black actors be genuinely accepted as a super hero that all people will accept, follow, and desire? I have only seen one and he had an alcohol problem - Hancock. Could Neo from the Matrix have been casted as Black? Would the movie have still been a success? I am a major fan of the Matrix and Keanu Reeves, but since you posed the question, I wonder. Even for me, I wonder how I would react to a black super hero? Would I be too critical myself? I would really like to see one but he or she would have to be so good that you would not see the color of their skin, you would just see the hero. Why? Because we have been conditioned as to how super heros should look - I believe. We have a super hero type. Even when Don Cheadle put on the Iron Man suit he was not Iron Man. Did you see a super hero or a side kick and is what you saw based on his role in the script or him as a Black man? Just a thought. Do we have to challenge ourselves to become aware of psychological presets that latently shape what we accept or are we open to Black people saving the world? 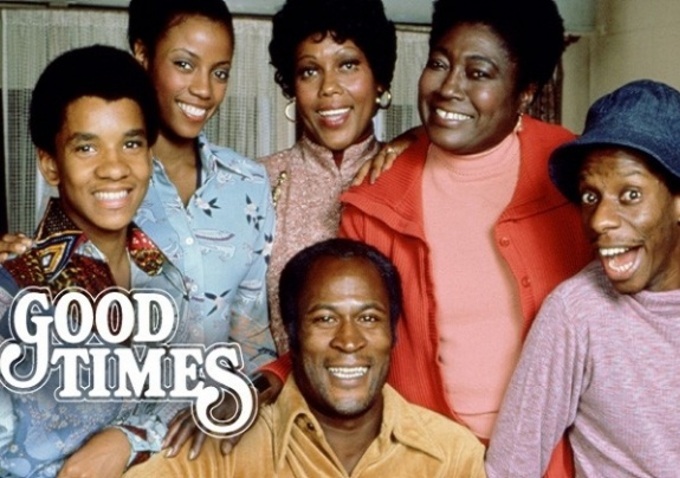 A "GOOD TIMES" REMAKE? : DAMN! DAMN! DAAAMNNNN! HAVE WE NOT MADE ANY PROGRESS?!! Sony Pictures and producer Scott Rudin really believe that this dog will hunt. I say take it out back and shoot it in the head and if it twitches, SHOOT IT AGAIN! How does that song go again? Temporary layoffs/ good times/ easy credit rip-offs/ good times/ ain't we lucky we got 'em/ GOOD TIMES! So we know what that said about what was acceptable in the 70's media, but what about now? Easy credit rip-offs, REALLY ? In a time of "political correctness" I can't believe that bringing back this tripe is acceptable. There's no way to spin a "Good Times" remake––not as a serious drama, dramedy, or God forbid a straight-up comedy (the humor would be totally inappropriate). Next they'll want to trot out a remake of "Sanford & Son," "The Jeffersons," and "All In The Family." Any good "fish-eyed-fool" could see that we simply don't need to repeat past mistakes. It's not even a good investment for producers. Can you imagine the backlash? I can see the news reports now. GMA, the Today Show, The View, and other opinion leaders will have a field day with this. Not to mention Al Sharpton and Jesse Jackson will be set to rabble-rouse the black community . We (all of society) should be keen to let the past rest and move in the direction that we set out on. We live, we learn, and we move on. We shouldn't be bound to repeat past mistakes. Personally, I would be offended and not feel comfortable watching this in a theater full of people. I wouldn't even watch it alone in the comfort of my own home. It saddened me to see it growing up and now that I'm older and wiser I wouldn't pay my hard earned money for it. We (society) can simply do better. Re: IF BLACK IS BEAUTIFUL THAN WHY AREN'T THERE MORE BLACK SUCCESSFUL FILMMAKERS & ACTORS IN HOLLYWOOD?